This combination class accommodates combines our Beginners Learn to Knit with intermediate knitters. Instructors are here to teach all levels of knitters during this class time! This class is perfect for knitters looking for the consistency of a weekly knitting course. 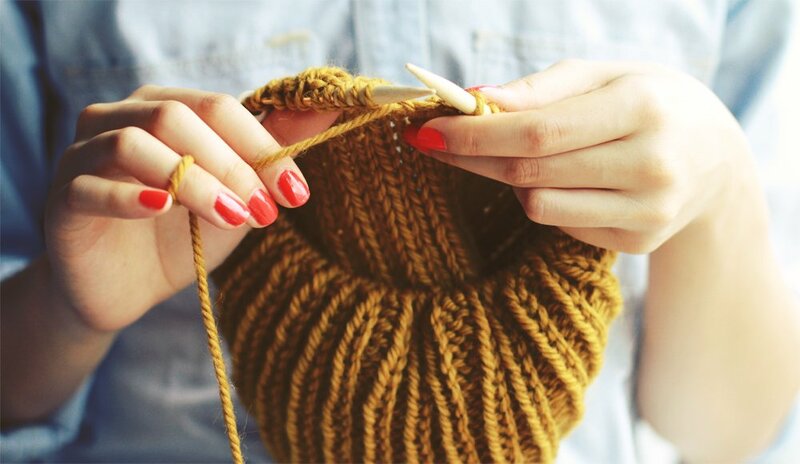 Beginners will learn the basics including how to cast-on, knitting, purling and binding off. Intermediate knitters can use this class as an opportunity to add to their knitting skill set with our expert knitting instructors there to guide you. This designated class time is only for students who have signed up for the full 8-session course. Materials for classes used by students must be purchased from Wool & Grace. Classes are for students 18 years and older. Requirements: Class participants must use yarn purchased from Wool & Grace for the in-class projects. Classes are for students ages 18 and up.